If there's one thing that everyone in San Antonio has an opinion on, it is where one can find the best tacos, the best chispa, the best ceviche, the best Tex-Mex... and so on, and so on. We all have our favorite hole-in-the-wall, or inauspicious strip mall establishment that serves up the best Mexican food in the city (if not the state), but there are a few restaurants and food trucks that have faced the test of time and won -- and that longevity should be celebrated, too. The places we've highlighted below combine all of those qualities, offering a varied look into the best Mexican food San Antonio has to offer, whatever you're looking for. If you're a Taco Palenque die-hard, feel free to take the below recommendations with a rim of salt, and a quarter wedge of lime. El Mirador has been around since 1968, serving some of best chicharrones and breakfast tacos in the city -- think hot, fresh, tortillas and tons of spice. For lunch, the poblano chili rellenos are a godsend, with savory meat and poblano peppers lightly fried to perfection. To top off the food, the restaurant itself has a good amount of sunny outdoor seating, and is located in Southtown, making it easy to walk downtown or meander among the shops and bars lining the roads. Tucked away in Alamo Heights, this elegant restaurant serves traditional Tex-Mex food with some deviation. They have gluten free and paleo-friendly menus -- which some restaurants are not as sensitive to as others. They’re usually packed for dinner so reservations are required. If you’re looking for an alternative to a margarita or a chispa, this place has got it – offering craft cocktails like a Mula Mexicana, Cinco Jalapeno-Tini, or an '09 Mojito (a nod to the Alamo Heights zip code, which ends with the numerals 09). 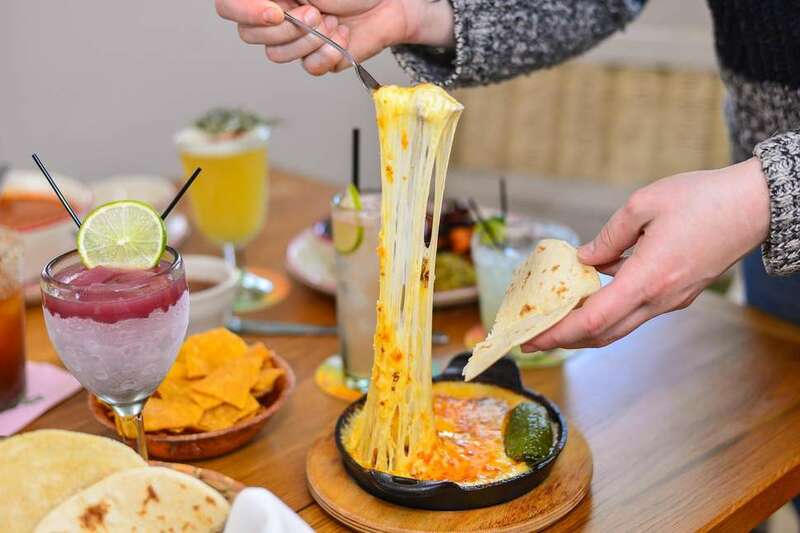 Where Paloma Blanca really hits it out of the park, though, is with its queso -- the queso fundido in particular, made from melted Monterey cheese, chorizo, gulf shrimp, tomato, and poblano peppers served up on a skillet. A word to the wise, though: if you order the queso fundido, you might not make it to the entrée. La Fonda on Main is a true classic, and the (allegedly) oldest Mexican restaurant in San Antonio, open since 1932; if you're looking to bring visitors to the most traditional Tex-Mex option in town, this is it. The service is relaxed, but the restaurant gets boisterous at night, and reservations are required for dinner on the weekends. The food is delicious, with interior Mexican dishes alongside the enchiladas and queso you'd expect, but La Fonda truly shines for its one-of-a-kind traditional atmosphere; the restaurant itself is in an aged building in the historic neighborhood of Alta Vista, and recently underwent renovations. Dining inside the historic building, or outside on the tree-lined patio, provides a relaxed taste of San Antonio that many busy Riverwalk restaurants can’t quite measure up, too. 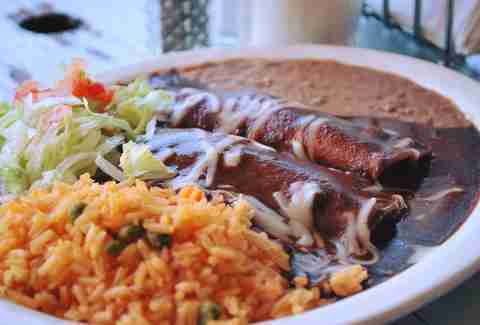 Los Balito's (formerly Los Robertos) offers huge helpings of homemade tacos, taco plates, and enchiladas, but for those seeking a bit more a Cal-Mex flair in their food, the burritos here do the trick. In addition to the fry-filled California burritos the place is known for, you can also get these flour-wrapped bliss packages stuffed with just about any filling imaginable: huge helpings of juicy meat, queso, lightly fried vegetables, eggs, salsa, and beans are all legit choices. Los Balito's is open 24/7, and while they don't serve alcohol, Big Hops is right next door an allows you to bring food in -- this is a winning combination. Happy hour at Soluna draws people from all over the city. The restaurant itself is conveniently located just off of Broadway street, and offers a refreshing oasis at the end of the work day. The large outdoor patio is especially welcoming, and covered in plants and greenery that make it easy to sit back with a fresh chispa and imagine it’s Friday already. The chispas at Soluna are consistently excellent, and the bartender seems to have mastered the art of perfectly mixing it so the chispa is never too sweet, or has too much alcohol (or at least, you won't taste the alcohol). For the uninitiated, a chispa is really just a pared down margarita, made of good tequila, pure lime juice, and typically Cointreau strained over ice; the result is a crisp drink, without the sickly sweet taste of sugar or pre-made mix. 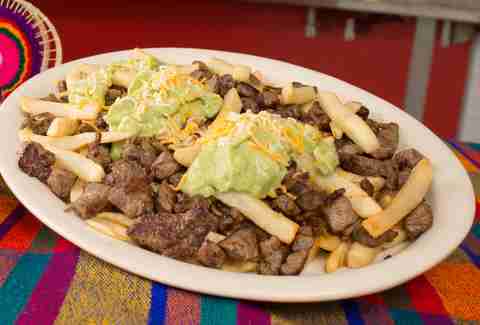 A personal favorite is the Charrita chispa, which is made with Topo Chico. Soluna also makes all its tortillas by hand, and there’s nothing like a fresh taco with a cold chispa on Soluna’s shaded patio during a hot evening. Erick’s Tacos is open until 4am every day, and serves an array of tacos on the side of the street to enthusiastic, occasionally tipsy customers. Erick himself is kind and attentive, and his hot, intensely flavored tacos only improve when covered in the house green salsa. The tacos are covered in all the toppings you'd expect (cilantro, onion, and cheese), and come with almost half a lime for even more flavor; the chorizo mini tacos are especially well seasoned and, at only a few dollars, are the best deal in the city. 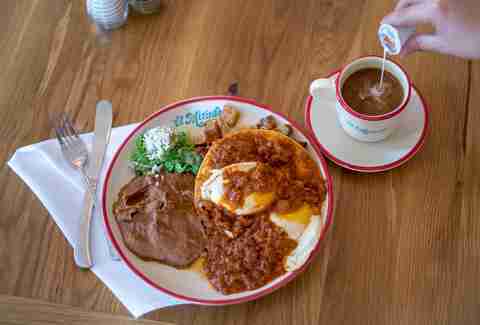 EL Milagrito Café is a mainstay of the St. Mary’s strip, and its hours from 5:30am to 4pm make it the perfect spot for breakfast, brunch, or lunch -- but breakfast all day, so that should be your go-to no matter what time it is. The menu combines Tex-Mex classics like migas and huevos rancheros with more continental plates like oatmeal and pancakes, but the daily breakfast specials are not to be missed, particularly the chilaquiles: a combination of tortilla chips, scrambled eggs, pico de gallo, and Cheddar cheese. The homemade salsa strikes the perfect balance between savory and hot, too, so don't skimp on it! If you’ve been out late on St. Mary’s Strip, El Milagrito is the perfect recharge restaurant with a wide enough (and delicious enough) array of breakfast to please everyone in your group. Rolando’s Super Taco is extremely casual, and at times gets so packed that the waitstaff can’t quite keep up with the customers coming in and out... but don’t let that stop you. The tacos are huge -- the size of a plate, to be exact -- and come stuffed with cheese, meats, egg, and vegetables. In other words, there's no better place to deal with a hangover than right at Rolando’s. The puffy tacos, though, are not to be missed. Puffy tacos consist of thicker tortillas fried just enough until they’re lightly browned and puffy, then filled with your choice of meat, cheese, and vegetables. Rolando’s excels at consistently getting the “puff” of the puffy tacos just right, which is kind of the whole deal. Mexican cuisine's not just one thing; it comes in a few different varieties, including interior Mexican, Tex-Mex, and coastal Mexican. El Bucanero is of the latter, and as such serves a wide variety of seafood -- the ceviche (available in cured fish and/or shrimp form) here is especially delicious, and paired with a cold Sol is unbeatable. The shrimp a la diabla and fish tacos are fresh as physically possible (given that we're nowhere near the coast), and during lunch will cost you less than $10. Finally, the margaritas at the Blanco location are large, have a healthy serving of tequila, and can be drank on the patio while listening to live Tejano music. This stand serves quick, hot, and plentiful tacos, stuffed to the brim with beans, meat, salsa, cilantro, onions, and hot sauce. It's cash-only, and long lines tend to form, so while the barrier to entry is a little high, the reward at the end is worth it. The salsa is always made fresh, and the carne asada and carnitas are the most popular option – for good reason, as the meat is reliably juicy and tender. Each taco is only $1, so it’s easy to just go ahead and try every single taco on the menu with an ice-cold Mexican coke. Georgina Buckley is a San Antonio-based writer who fell in love with a Texan, tacos, and margaritas -- not necessarily in that order. Follow her mediocre Instagram @georginaspeaking, or spot her with her dog at “respectable” patios across the city.